We stand side by side with the workers! Labour Day is a day when people from all around the whole world march on the streets to win workers’ rights. 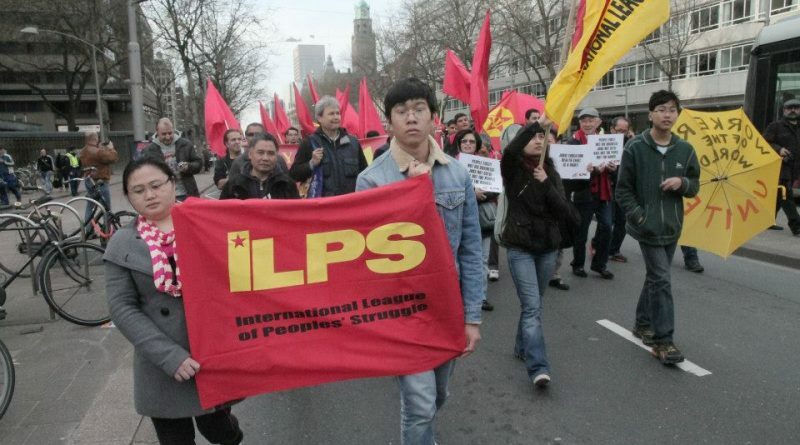 The Netherlands’ chapter of the International League of Peoples’ Struggle calls on its member organisations to join the initiatives which are taken by democratic organisations and political parties in different cities, among others Rotterdam, Amsterdam and The Hague. We have seen how the big banks and corporations have accelerated their profit and capital accumulation through neoliberal economic policies. This is accomplished through the decrease in our real wages, cuts in social services, privatisation of government-owned corporations, liberalisation of investments and trade, risky investments and the abolition of protective measures regarding employment, society and the environment. As ILPS, we want to emphasize on the theme ‘No Jobs for Profits, but Real Jobs for Everyone.” We have seen that the gap between the rich and the poor is becoming greater. Three months ago, the unemployment rate was 7.2%, but it has now risen to 8.1%, which translates to 643,000 people. Everyone has the right to have a job with at least a realistic minimum wage. We believe that that minimum wage requires at least an annual inflationary adjustment. The average wage increase since the third quarter of 2010 is already below the inflation rate. This is also the case in 2013: compared to the collective-bargaining-based wage increase of 1.8%, inflation has risen to 3%! These past years, inflation has risen faster than the wage increase as a result of the crisis that was created by the big banks. The banks are bailed-out by public funds. The workers and other sectors suffer from mass unemployment, lack of permanent jobs, zero-hour contracts, rising costs of life’s basic needs and facilities, mortgage defaults, lack of social housing, decreased education subsidy, postponed and low pensions, high prices, and less coverage by the health insurance. If the richest 1% pay for the debts, there is a possibility of recovery. On the 1st of May, let our voices be heard to fight for a society where everyone can live in a humane way. Without the contributions of the Dutch, migrants and refugee workers, there won’t be economic growth. Let us all work together for a society with social justice for everyone!